Picture yourself in the following situation: You have been extremely working hard for more than 10 years and have saved enough to buy your first property. With a cash on hand of SGD Fifty thousand, you have decided to purchase a resale condominum unit located at the heart of Yishun. You got your key, renovated your house and moved in with all your furnishings and personal belongings. You were happily living at your bachelor pad for 3 months. Then a tragedy strucked. You brother made a huge loss in his investment and he is in a dire need for some cash to redeem his losses. In order to help him, You need to sell off your property quickly to save him out of the situation. What should you do to ensure your property gets sold fast? The property market downtrend is expected to continue in the next few months. Selling your property in today’s climate can be a daunting task. With so many property agents in the market, it is also tough to distinguish the seasoned ones from the mediocres. The natural thing to do is to appoint a property agent and get the person to market your property. Sometimes it’s a trial and error situation if you do not know of closed friends who are in the property line. So, what do you do if you need to sell off your property quickly? Yes, you need to consider listing your property with http://www.belowVal.sg . 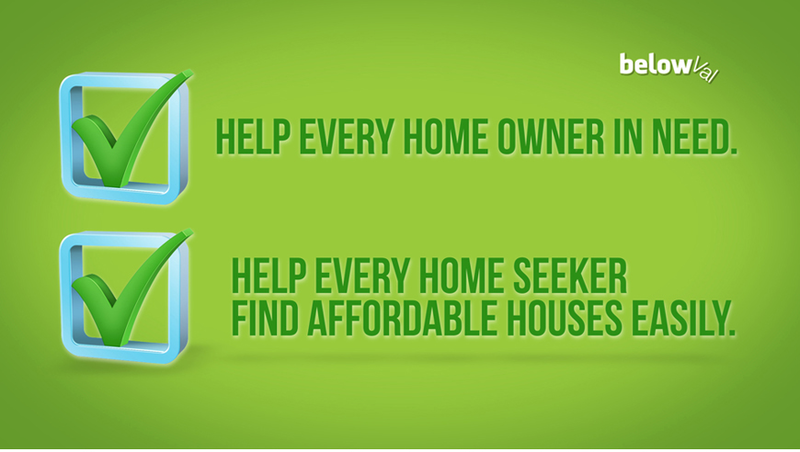 belowVal’s mission is to match home seekers and sellers of below valuation properties quickly and easily. The Influencer Media Editorial team spoke to the team behind belowVal and summarised why you should list your property with them. One of the problems of selling your property is always the issue of marketing. You’ll need to hire a qualified property agent who will list your property on some property sites in Singapore. Due to the sheer number of properties available for sale, many of such urgent sale properties get lost in the thousand of listings. It is often frustrating for buyers to sieve through the listings as it takes time and effort to go through all the listings. At belowVal, only genuine below valuation cases are reflected on their site. It provides an assurance to buyers that these properties are genuinely below valuation and are not there as a plot to trap for customer leads. Navigating certain property sites could be a pain especially if one has to go through thousand and one listings. As there are different permutations and filter fields, the outcomes could get very messy and disoriented. Sometimes you see the same ad repeating itself due to many agents promoting the same property. belowVal works because there are no thousands of listings, no messy clutter, just genuine below valuation properties. Using belowVal is easy and simple. belowVal updates their customers with the latest below valuation properties as home owners post them up on their website. Interested home seekers will then connect directly with home owners or agents to find out more. The process is streamlined, made simple and easy. And since these are all genuine below valuation cases, buyers will get quick responses from sellers who are urgently trying to sell their properties at a cheaper price. If you are urgently trying to get rid of your property, you will reduce the price to increase the demand. All the properties listed at belowVal are verified and sold fast to buyers who are genuine. That means, you won’t be wasting your time talking to buyers who are ‘window shoppers’ taking a long time to make a decision. We know you are urgently selling your property and sometimes time is of the essence. You have a deadline to meet and you have no choice but to sell to ready estate trustees, law firms and other special situation funds. You end up selling at a lower price to these parties as you have no choice. Instead of letting all these big property players profit why not sell your house to real genuine buyers who are sincere, down-to-earth and having a lower budget simply because its out of their reach for more expensive buys. By using belowVal, you speed up your selling process and benefit buyers who are genuinely looking for a cheaper house. With all these good reasons, Why wait, head on to the site now and list your below valuation properties. Previous Post Singaporeans, Don’t you think Blue Collar Workers deserve better?